Beats have always struck me as a well-hyped brand. I was curious to see if their popularity is due to marketing hype, or whether they could blast sweet, richly detailed audio into my ear holes. The Studio 3’s are bit of a milestone. 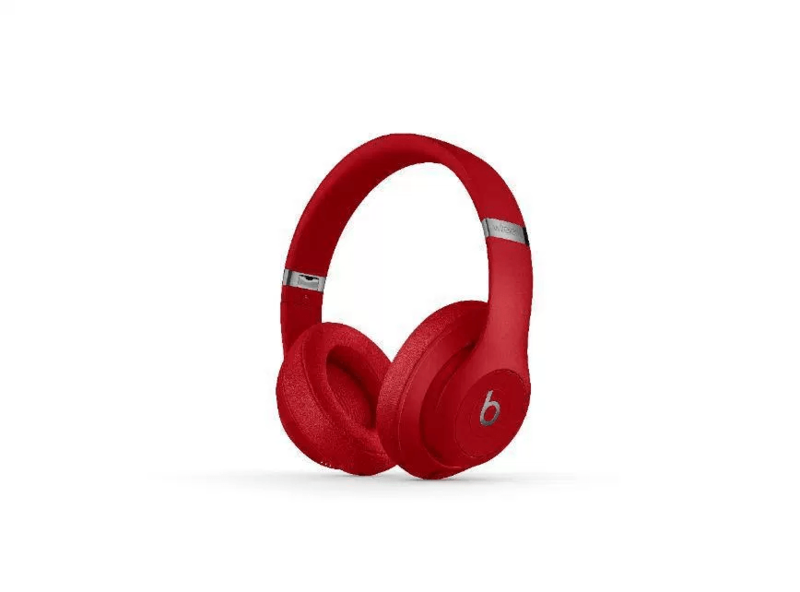 Apple acquired Beats back in 2014 and has added their W1 Bluetooth chip into these cans. For i-People the W1 adds serious ease of use. Audio is solid and noise cancellation is industrial strength. 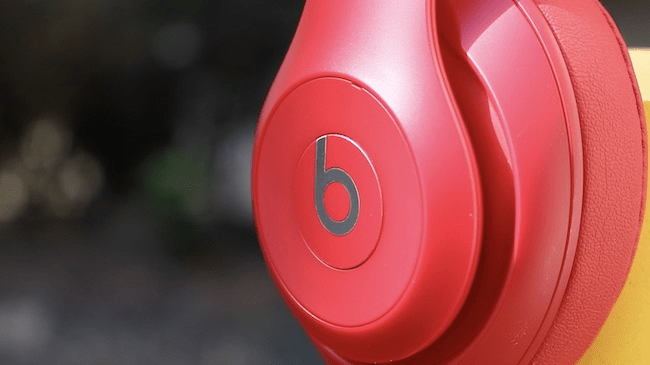 These three factors make the Beats Studio 3 Wireless cans a good choice for Apple fans. When I say they’re dead easy to use, I’m not kidding. Pairing with an i-Device involves turning them on and placing them next to your iPhone/iPad/Mac. Hit the Connect button on your i-Widget and they’re paired. It doesn’t get much easier. The hardest part of the entire process is hitting the Connect button. Even the slowest i-Diot won’t struggle to do this. For non i-Gear users, pairing is the same process as you use to connect other Bluetooth widgets. While testing them, the Studio 3 Wireless cans worked well with Macs, android smartphones and Windows PCs. Connectivity was robust, too. Taking Bluetooth cans for a wander around a city environment was telling. This usually sees lots of drop-outs thanks to plentiful RF interference. I only experienced two intermittent disconnections, while the norm with other ‘phones is usually 10-12 dropouts. As good as this sounds, the Beats Studio 3’s aren’t perfect. I liked that they play a tone when they’ve paired, disconnected, or when noise cancelling gets turned off, but there’s no tone for when they’re powered on or off. This means they may be accidentally left on and flat next time you go to use them. Powering them on/off isn’t all that difficult, which is both good and bad. Doing this involves holding down a small button in the right earcup. A bunch of white LEDs illuminate (for powering on) or extinguish (for powering down). I also miss audible voice notifications informing me of battery levels when I power them on. Samsung’s Icon X’s do this, as do Bose’s QC35’s. Not a biggie, but given their sticker price, you’d think they’d have this functionality. Grizzles aside, battery life with the Beats Studio 3’s is excellent. Apple claim 22 hours with noise cancelling enabled and anything up to 40 hours without it. Fast charging also means that you get up to three hours of use from 10 minutes charging. From a design perspective the Beats Studio 3’s hit the mark. Even if you’re not a big fan of the Beats aesthetic, the design of the Studio 3’s is easy on the eyes. There’s not too much bling and they’re not so garish that they scream ‘wannabe rapper’ when I wear them. The Studio 3 wireless ‘phones I tested were red, but they’re also available in black, pale pink, white and blue. They’re finished in matte plastic with design accents in a subtle (but tasteful) gloss. Good looks aside, they feel solid. A key test for me is how well they adjusted and folded for storage. In both tasks the Studio 3’s felt solid. This is thanks to an alloy chassis hidden beneath their matte plastic finish. Comfort is also another design consideration and here the Studio 3’s come into their own. They stayed on my noggin, yet it never felt like I’d had my head clamped into a nutcracker with speakers. This is due to their super comfy ear-cups. Judicious use of leather and padding made them so snug I sometimes forgot I was wearing them. Last but by no means least were playback controls. I know it’s trendy to have touch gesture controls on ear cups, but I find them frustrating. When trying to increase volume or pausing playback it’s too easy to do something completely unrelated, such as skipping tracks. Beats opted for physical controls that are intuitive to use. They’re situated on the left earcup, and consist of a pause/play button as well as volume controls. The right earcup has a power button that also toggles noise cancelling. These controls are findable by feel and worked well in real world conditions. The Studio 3’s may be wireless, but that’s about as useful as an ashtray on a dragster if the battery dies mid use. Getting around this sees a 3.5mm jack located in the base of the left earcup. The right earcup also sports a Micro-USB port for charging. Mac fans may wonder why Apple didn’t use a Lightning port and Android users will lament the lack of a USB C port. Guess there’s no pleasing some folks! On the noise front, the Studio 3’s did a fine job. Where earlier beats I’d tried oozed bass to the detriment of musical detail, the 3’s felt a lot more balanced. Bass is still there in droves. It helps fatten audio out, but highs stay crisp, even if the mids are a little flat. Sony’s MDR100X’s deliver a more nuanced soundstage, but there isn’t a lot to complain about with the Studio 3’s audio. Noise cancelling works well too. In use it knocked out the bulk of flight noise when I was travelling, while it didn’t kill off ambient sound to the point where it felt like I’d got locked in an anechoic cocoon. If you’re an Apple person with Apple gear, the Studio 3’s are a no-brainer. All told, the Beats stand up well on their own merits, regardless of the marketing hype. They’re also well-crafted and look good. The sound they produce isn’t too shabby either. The few minor design hiccups listed above hold them back from a top rating.